Great apps are even better when they’re on sale! We’ve picked 21 iOS apps that are over 30% off. 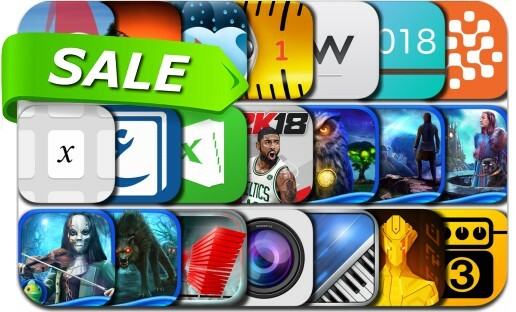 This app deal alert includes NBA 2K18, iWriter, Waterlogue, ToneStack, Music Studio, AirMeasure, Shadow Wolf Mysteries: Tracks of Terror, Phantasmat: Behind the Mask, Weple Diary and many others.